This song by Harold Arlen was one of the early swing rhythm songs in 1931. 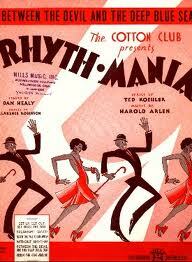 It was recorded in the first few years by Louis Armstrong and Cab Calloway. The Benny Goodman recording, with vocals by Helen Ward, is also well-regarded. It’s the well known runaround that you’re giving me? Though I’ve made a big mistake, what can I do? “Between the Devil and the Deep Blue Sea” was recorded on September 4, 1964 and released in 1964 on the album Who Can I Turn To. It was arranged by George Siravo.